September and October were busy months for the Guidance Center staff, particularly in terms of aiding immigrants in finding housing, efforts made in addition to workshops on housing conducted in the kibbutz ulpanim, and also the Beit Brodetzky Absorption Center, as specified in the following. Dozens of olim contacted us to consult on various areas of residence, or requested that we review contracts on apartments they had found prior to signing. During those months,Center staff examined 25 lease contracts sent to us by immigrants who had found housing and were on the path to establishing their independence in Israel. Throughout September, we held an English-speaking orientation day for a group of young adults in kibbutz Ein Hashofet, dealing in preparations for enlistment, the rights of lone immigrant soldiers, as well as incorporation in Israel's job market: how to write Israeli resumes, acquiring tools and tips for finding work, and successfully navigating a job interview. Additionally, we held an apartment-search workshop for a group of 15 Russian-speaking olim in the Beit Brodezki Absorption Center. The workshop provided participants with methods for finding an apartment, important issues to understand before signing a lease, and tips for smart budget management. In October we held an orientation day in kibbutz Maagan Michael for over 50 immigrants from all corners of the world (Australia, England, the USA, Russia, Ukraine, and South America), divided into three language groups – English, Spanish, and Russian. We began with a workshop focusing on cultural gaps and mapping the needs and questions of the immigrants. Later, we delved into issues raised by the participants, from preparation to the army, the rights of lone soldiers, to where to live, how to hunt for apartments, and gear up for finding employment in Israel's job market. We concluded October with an introductory meeting and workshop on cultural gaps for 12 immigrants in the Kibbutz Tzuba ulpan. 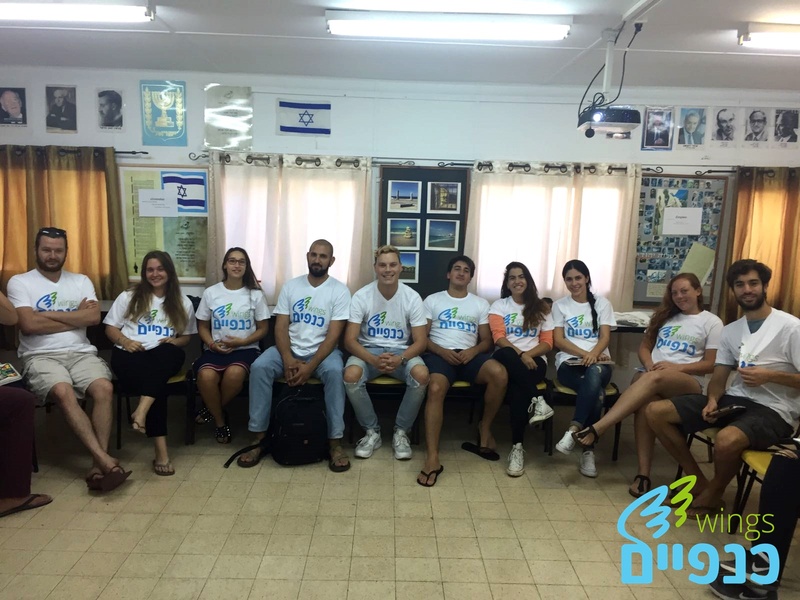 The workshop was conducted in English, and marked the first in a series of workshops incorporated into Hebrew ulpan studies to better prepare them for the life in Israel after the ulpan ends.